Lichen, an often overlooked organism that forms fuzzy, leaf-like layers over tree bark and rocks, is an unsung hero in forest ecosystems. It provides food for deer, caribou, and elk and is sometimes the only food source for flying squirrels, which are key prey for threatened spotted owls. Birds and insects use it to eat and nest. 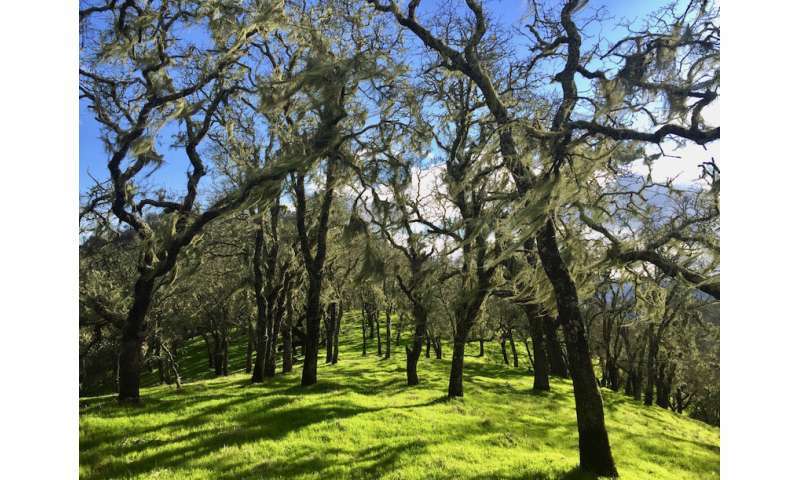 An important contributor to the nutrient cycle, it also helps fix nitrogen in forest soils. 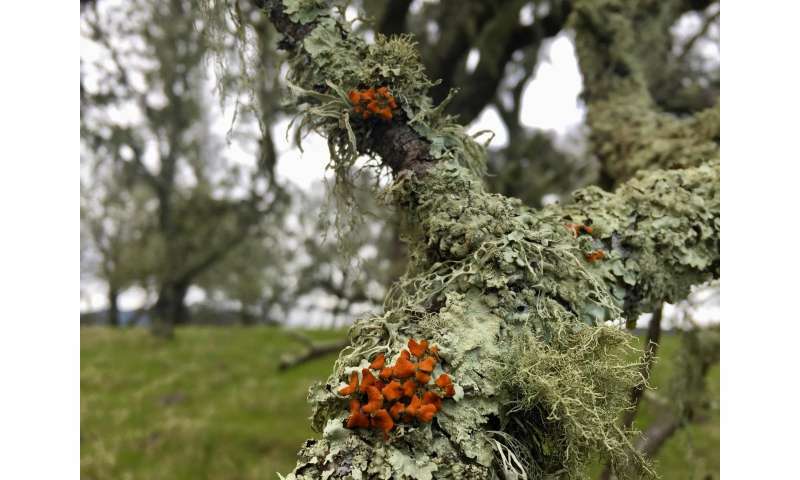 "Lichen are beautiful, ecologically important, are all around us and tell us important things about the environment," said lead author Jesse Miller, a postdoctoral scholar in the Department of Environmental Science and Policy at UC Davis. "But even if you don't notice lichens, you would notice the consequences in ecosystems when they are lost." 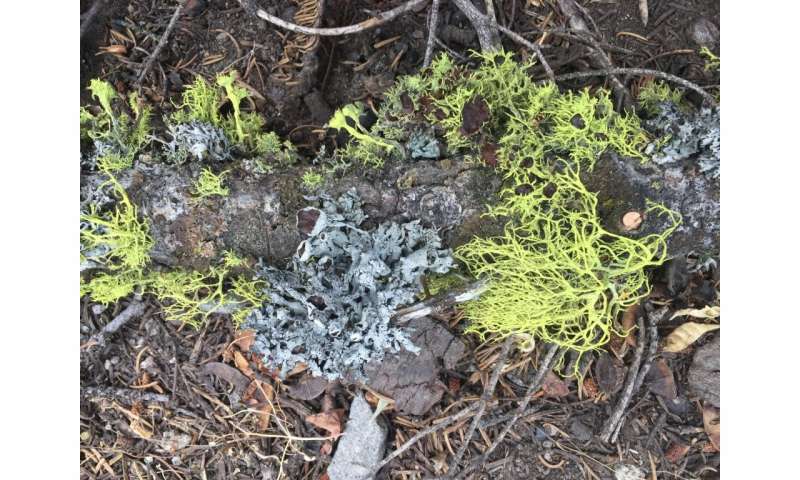 For the study, published August 9 in the journal Global Change Biology, researchers sampled lichen communities in about 100 study plots across California's Sierra Nevada region. Five wildfires had burned, at varying levels of severity, in and around the plots between four and 16 years before the study's sampling. "If the species could keep pace with the rate of climate change, the effects of fire might not be so bad," Miller said. "But the concern is they might not. These fires happen so quickly and in such a large area, they could cause species ranges to contract faster than they are expanding."